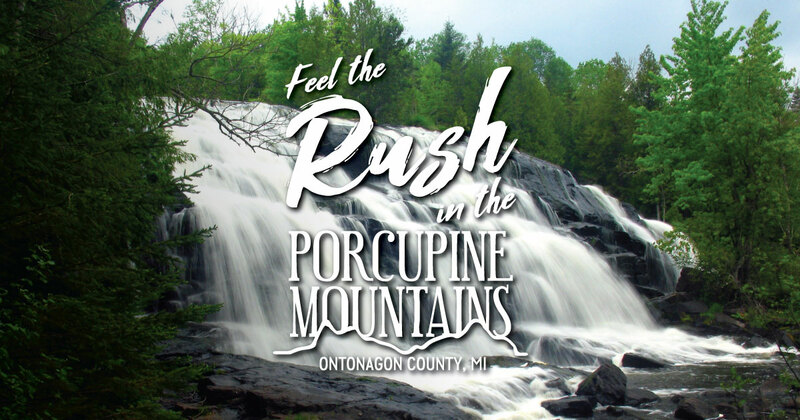 Hear the history of the miners, lumberjacks and settlers of this remote corner of the Upper Peninsula at the Ontonagon County Historical Society Museum, located in downtown Ontonagon. See a replica of the “Ontonagon Boulder,” a 3,700-pound chunk of nearly pure copper discovered in the area that led to the mining rush of the 19th century. The Ontonagon Lighthouse, built in 1866, is one of the oldest lighthouses in Michigan. Tours of the lighthouse are offered three times a day Monday through Saturday and by availability Sunday from May to September. Land for the Ontonagon Lighthouse was acquired in 1847, and the first structure was built in 1851-52. By 1866, the original wood structure was replaced with the current building–a one-and-a-half story cream brick building with a square light tower at the north end. The light tower is three stories high and topped with a decagonal beacon house, which houses a fifth-order Fresnel lens and light. The lens was made in France in 1856 by French physicist and lens pioneer Augustin Fresnel and delivered to Ontonagon in 1857. Use of the lighthouse was discontinued in April 1963 after an automatic foghorn and battery-powered light was installed at the Ontonagon pier. The lighthouse was officially decommissioned on January 1, 1964, and the building was placed on the National Register of Historic Places in 1975.